As I don't follow the light novel industry, I somehow got it into my head that The Legend Of The Legendary Heroes (Densetsu no Yuusha no Densetsu) was going to be a comedy based on the lighthearted title and apparent reliance on fantasy stereotypes I saw in the initial marketing push. It has its roots in a long series of books written by Kagami Takaya which began publication more than a decade ago now. Any kind of fantasy anime immediately catches my eye, so I patiently waited and then preordered FUNimation's home video release. 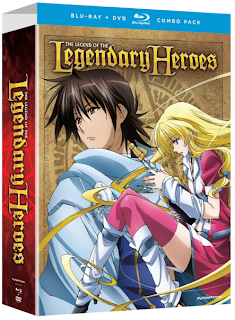 The Legend Of The Legendary Heroes received a more than adequate US adaptation with little fanfare. A pair of combo packs came out together in April 2012, each including 12 of the show's 24 episodes on both Blu-ray and DVD. An English dub was also provided, though since I stuck to the Japanese version with subtitles as usual I can't advise on the dub's quality. The first of the two combo packs came in a limited edition pack with a BD-sized chipboard box to hold the series. The first pressing versions of the sets also contained a single tarot card each; a pleasant bonus even if they're nothing to write home about, as extras go. Although Amazon is showing the Part 1 limited edition as out of stock at the moment, the two collections seem to be freely available elsewhere. Part 2 is well under $30. It's a bargain for an unspectacular but flawless English-language release. I don't recall any UK company having announced a local edition to date (a quick internet search only turned up a rather depressing tweet from Manga UK on the matter); indeed, I don't often hear people talking about the series at all in any capacity. Still, it's likely that it will eventually make its way here as new material with existing dubs gradually becomes more scarce. There's a generation of grown-up Record of Lodoss War fans out there. My first impression upon receiving The Legend Of The Legendary Heroes was mild disappointment, as the packaging uses a lot of very similar images of the same few characters, which makes it look as though the show has a tiny cast of pouty beauties staring off into space. Having now watched it, I'm all the more certain that the US artwork does the series a disservice. The design is based on the Japanese home video packaging, but while the Japanese discs were spread over a large number of volumes, FUNimation only has two - and they used the same characters everywhere except on the reverse of the limited edition box. The dull brown backgrounds don't really help when the two male characters are quite simply coloured to begin with. The Japanese editions definitely do a better job of catching the eye. This is just a surface quibble, however, as the content is what counts. And the show looks gorgeous on FUNimation's Blu-ray discs. I don't own the Japanese release so I have nothing with which to compare the video quality. While I can see some minor imperfections when I look closely at screenshots, in motion the picture is excellent. It helps that the show is full of vivid colour and special effects, and the character designs are unusually gorgeous, too. If the anime adaptation is a good indicator, there are no unattractive men or women to be found in the whole DenYuuDen universe. The basic story sets up a typical fantasy romp; the world is divided up into various countries, and one of the three leads, Sion Astal, has become king of a region called Roland. Main characters Ryner Lute and Ferris Eris are brought together by Sion to travel around on a vague fetch quest looking for magical artefacts. To complicate matters, hero Ryner has a special power called Alpha Stigma, which makes him a target for prejudice wherever he goes. As I said at the start, I originally expected a light fantasy show laced with comedic elements. 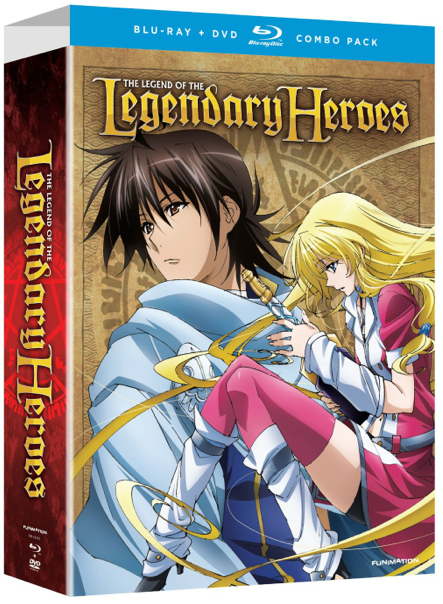 I soon realised that I was wrong; The Legend Of The Legendary Heroes is not that kind of series at all. From the very beginning there's a surprising darkness to the story; people die, suffer and bleed on screen. The enormous cast of characters is made up of very human individuals, each of whom has their own agenda. There's a great deal of political plotting going on from all sides. That's not to say that there's no comedy at all - Ferris often casually says things so outrageous that they'd shatter a normal man's heart, and Ryner spurs her on by going along with it. The pair's banter makes up the bulk of the comic relief, lifting the series' bleak atmosphere from time to time to prevent it being completely swept away by its own darkness. Ryner's Alpha Stigma power gives him mastery over magic and this plays a central part in the show. There's nothing worse than a fantasy show which skimps on magic! 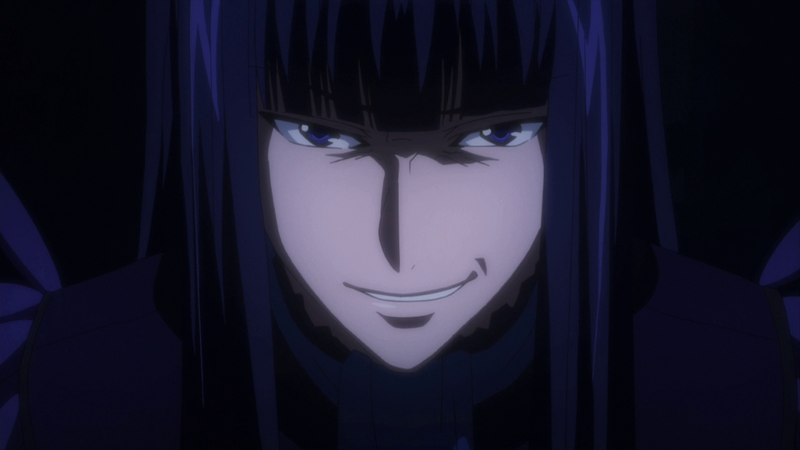 Fans of swordplay should also be satisfied as Ferris is a wonderful fighter despite her sullen personality. Watching The Legend Of The Legendary Heroes, I found the first few episodes quite hard work - there's a lot of information thrown at the viewer to begin with which was probably easier to digest on paper. By the end of the first disc, though, the series had really hit its stride. More characters had been introduced by that point, including the sinister Miran Froaude, whose interactions with Sion had me on the edge of my seat, and the unexpectedly cool Claugh Klom, who I'd assumed was going to be a typical military meathead at first. Nakai Kazuya also appears as a one-eyed swordsman later on; it's possibly the strangest case of typecasting I've noticed in the voice acting world to date. The one thing which seemed to let the show down was that after finding the perfect pace for a while, it became suddenly obvious that there was no way it could come to a satisfying stopping point. The last half-dozen episodes consequently felt much weaker than those earlier in the series as they struggled to pack in as much content as possible, leaving some plot points entirely unexplained in order to reach an appropriate climax at the end. 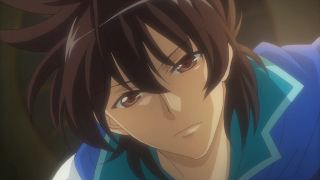 Fans of the light novels won't be affected as they already know what happens next, but for the rest of us it's a terrible shame that there don't seem to be any plans to animate the rest of the story. 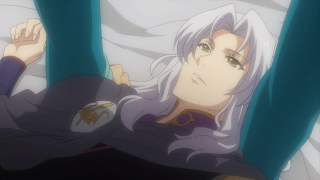 The lack of impact the series seems to have had on English-language discussion boards makes me think that it's unlikely there'll be an unexpected surge in demand from the west to encourage the Japanese investors to fund a sequel, either. 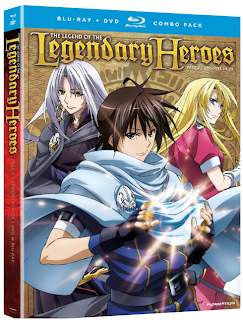 In spite of this complaint, I enjoyed The Legend Of The Legendary Heroes very much. It's a surprisingly emotionally-charged take on the crowded fantasy genre, with nuanced characters, dynamic combat sequences and stunning artwork. That there wasn't ever more of it made is the series' only real flaw. Well the anime has its years, although the series has many light novels with some 12 volumes, there are only a few volumes translated. 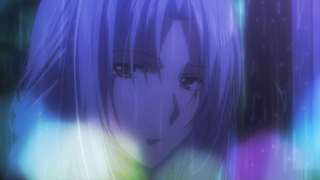 There is promise in a sequel, anime tube no good sales and although the novels are a hit.